Pet Shop Boys will release the third set of albums in their definitive Catalogue: 1985-2012 series of reissues of all their Parlophone studio albums. This third set sees the PSB albums Please from 1986, Actually from 1987 and 1988’s Introspective, and will be reissued on March 2nd. The albums have been remastered and repackaged, and will be accompanied by “further listening” albums of master quality bonus tracks – including demos, extended mixes and remixes of tracks from the albums and others created in the same period as each record. 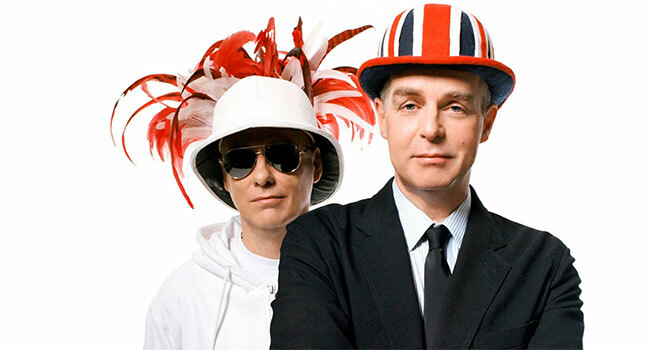 The three albums will be packaged with an extensive booklet in which Neil Tennant and Chris Lowe discuss each song, illustrated with many archive photographs. The entire project is designed by Farrow. Please was the debut album by Pet Shop Boys and produced by Stephen Hague. Released in March 1986, the album hit Billboard’s Top Ten, was certified Platinum, and has sold over three million copies worldwide. Comprising of ten tracks in its original release, the album’s track listing includes the duo’s debut single “West End Girls” – PSB’s first number one single in the USA. Singles “Love Comes Quickly,” “Opportunities (Let’s Make Lots Of Money)” and “Suburbia” are also featured on Please. The Catalogue: 1985-2012 reissue of the album features a remastered and repackaged vinyl and double CD, featuring 7″ and 12″ mixes and remixes of tracks from Please and the album’s period. The reissues of Please, Actually, Introspective, Behaviour, Very, and Bilingual were originally released with bonus “further listening” albums in 2001 and are being newly remastered with their original track-listings for these projects. 11. Why Don’t We Live Together? 10. Was That What It Was? 13. Do I Have To? 6. What Keeps Mankind Alive?